In China, there is a two-legged stray that has given birth to puppies, and even with her disability she still cares for her family and makes sure none of her puppies are in harm’s way. We know animals are resilient, and many times they adapt to their environment and survive as best as they can. 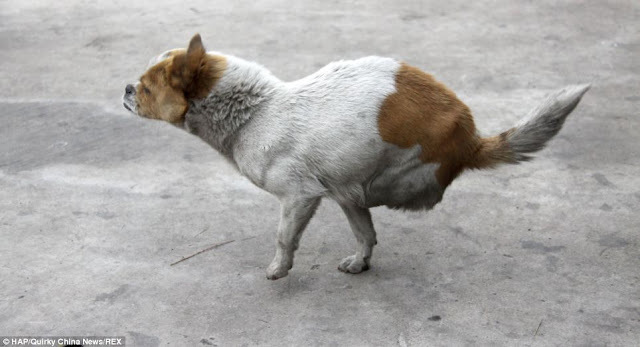 After all, there are millions of homeless dogs in the world that struggle every day to find food and shelter, but it amazes us how homeless dogs with disabilities are also able to thrive and survive life on the streets. The momma is known as Shi Bao, and she wasn’t always homeless. 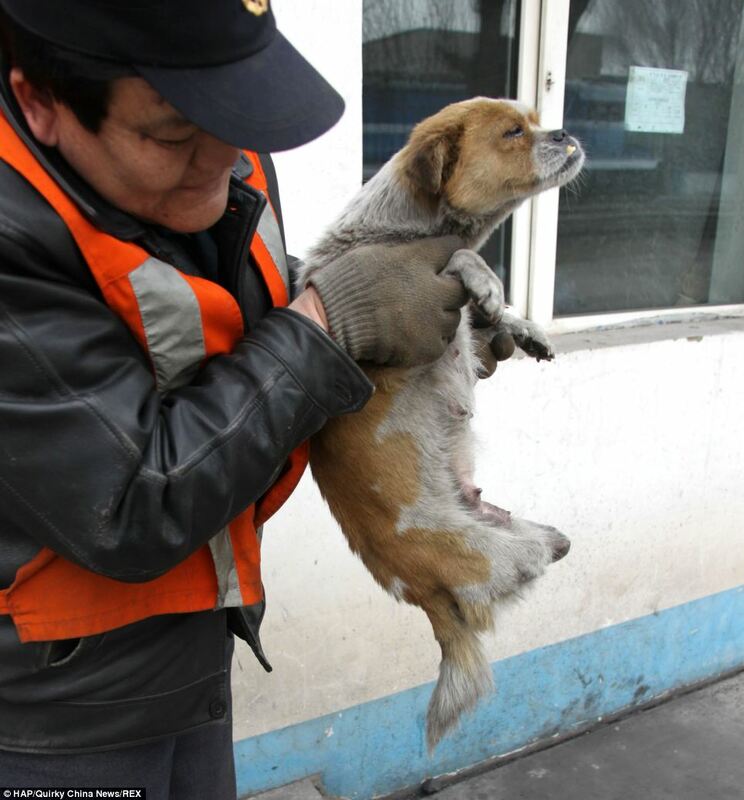 Her owner abandoned her and she took refuge near Kouguan railway station in Datong, Shanxi Province. Unfortunately she lost her hind legs in an accident. Locals believe she was either hit by a car or run over by a train, but either way, she survived and has been fending for herself ever since. Shi Bao recently gave birth to healthy, beautiful puppies. 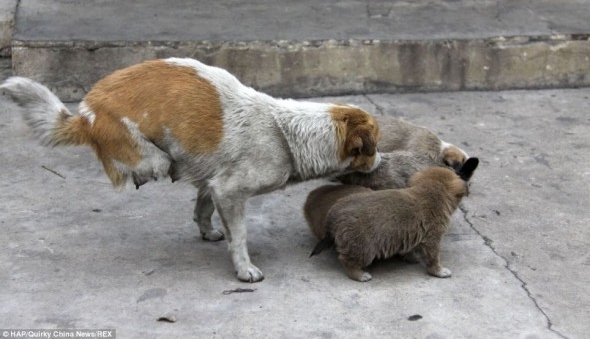 Every day, the two-legged momma guides her babies around the train station while they scavenge for food. 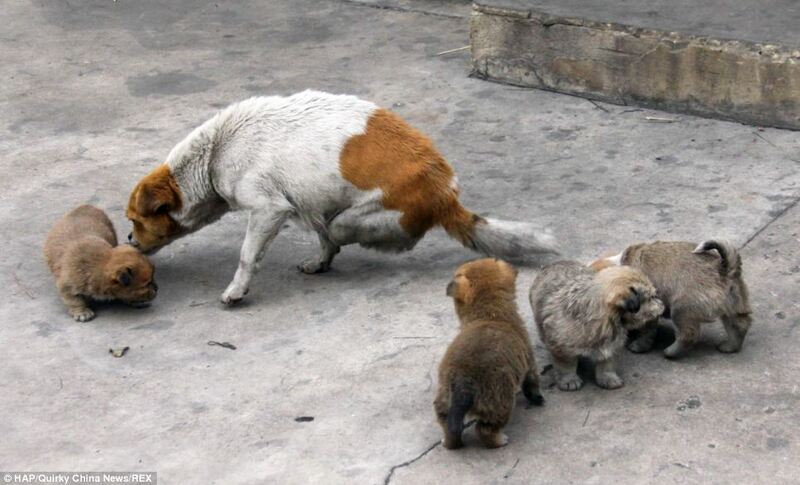 The heroic mom makes sure her children are always near her and far from harm. 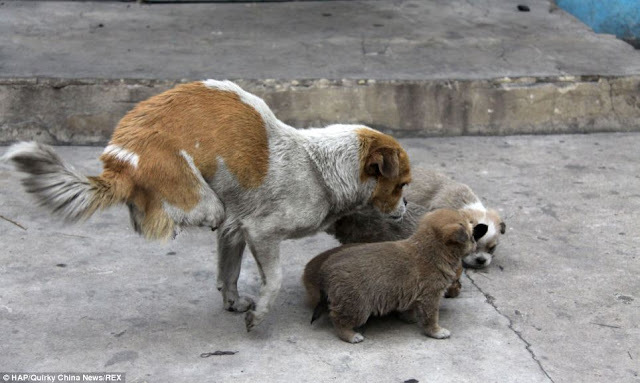 We know animals in China are not as well protected by laws as other animals in other countries, but we hope that Shi Bao and her babies find a good Samaritan or animal rescue organization that would take them in put an end to their lonely and harsh days on the streets. All animals deserve a loving home and Shi Bao has proved she is worthy of true love and a happily ever after. China has an estimated 130 million stray dogs - many them victims of a growing urbanisation that has seen millions of people move into high-rise buildings with little room for pets. It's a tough life on the street for many of the dogs. As well as state extermination campaigns in many cities, there is also widespread abuse of strays by members of the public, and the risk of being captured for dog meat or succumbing to hunger and disease. Responses to "Two-Legged Stray Momma Cares For Her Homeless Family"
If you people get her to my home in Koppang in Norway I will take care of them. I live in a big house with lots of space. You pay for it White Wolf and bring them here.